Are conflict and blame tangling your teams? The Tangle Doctor™ can assist! Teams tangled in conflict and blame are unproductive, toxic, and have reduced productivity and results. Team members often break in to small sub-groups, with back biting and gossip. Team trust is low, conflict is high, and tension fills the air. Team members lack full commitment and in fact may "quit and stay." Team leaders are uncertain about how to get the team moving and unknowingly may be part of the problem. Their leadership style may mismatch the teams need, and unproductive norms may be further tangling the mess. 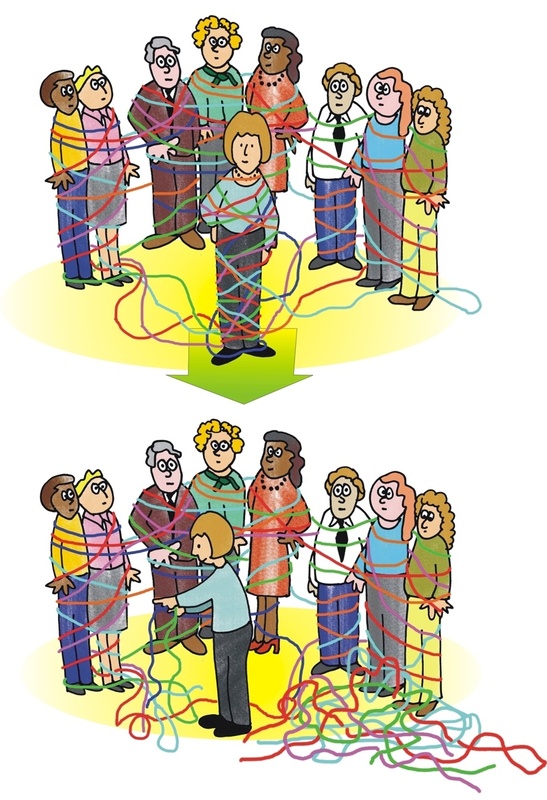 Don't let team tangles tie your teams in knots. We can assist.